Walt Disney's Donald Duck's Family Tree, by Whatsits Galore. 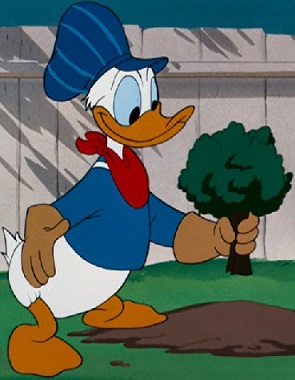 You've enjoyed Donald Duck and all his animated relatives in cartoon shorts, feature films, television, and comic books. Now discover the precise relationship between all your favorite Disney duck characters with this illustrated family tree. It's Disney's version of Duck Dynasty!